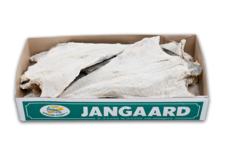 Dried salted cod is Jangaard’s main product. Portugal is the major consumer in Europe, with the country’s traditional fish dish – bacalhau – using dried salted cod as its core ingredient. 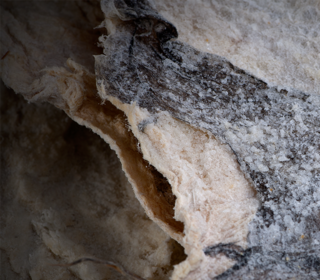 Latin America is also a big market and large quantities of dried salted cod are sold to Brazil before Christmas and Easter. Other big consumers of cod are Venezuela and Mexico. See Gadus macrocephalus for a different size system. 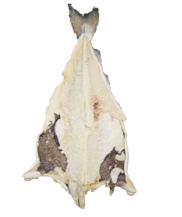 Gadus macrocephalus is imported from the US and is caught around the edge of the North Pacific Ocean. 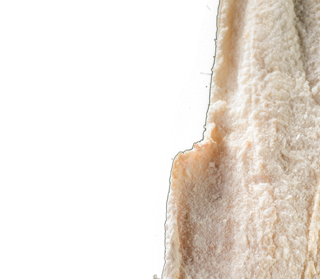 It is also called Pacific cod or Alaska cod. 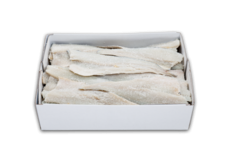 Pacific cod is sized by the amount of fish placed in a 25 kg carton or a 50 kg wooden box. The main markets for saithe are Brazil, the Dominican Republic, Jamaica, Congo Kinshasa, Congo Brazzaville and Angola. 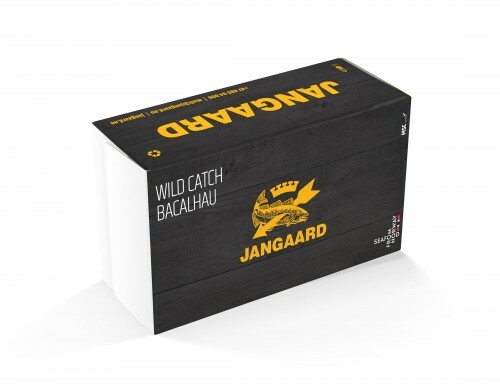 Jangaard has been present in these markets since the 1960s. 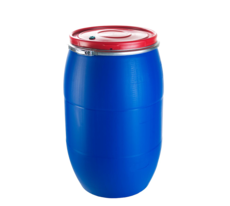 We supply a product of conformity and dryness suited for tropical climates. We remove the surface salt in order to avoid attracting humidity. 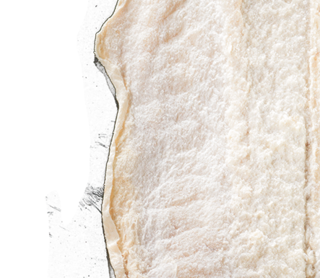 The fat content in saithe is less than 1% and protein content is 42%. We supply backbone saithe for the African continent. 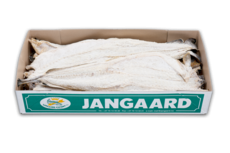 The fish is packed in 9 kg cartons and the size is 25/40 cm. It is delivered in 40" containers, holding 3,000 9 kg cartons. 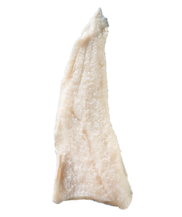 Haddock is sold to Spain and Mexico as wet salted. The fish is mainly converted into "migas" in these markets. 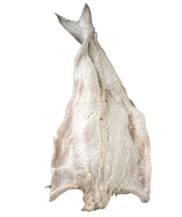 In countries such as France, the Democratic Republic of Congo, Angola and the Republic of Congo, the fish is sold as dried salted haddock. 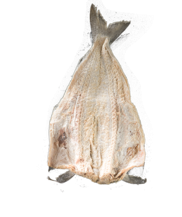 Haddock is a small and very white fish. Haddock is caught along the coast of Norway, but primarily in the spawning grounds in Northern Norway. 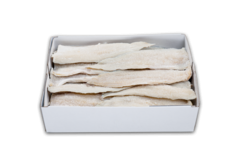 Backbone haddock is mainly sold to Africa and the fish is therefore specially dried for humid and warm countries. 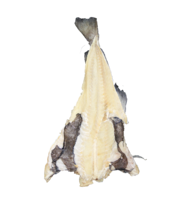 Haddock is a small fish and mainly sold in one size, from 0.3 to 1 kg. The fish is packed in 9 kg cartons. 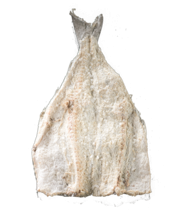 Haddock is sold to Spain and Mexico as wet salted. The fish is mainly converted into "migas" in these markets. 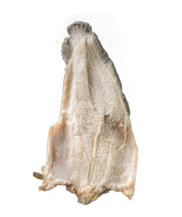 Wet salted haddock is usually 0.6 to 1.2 kg in size. 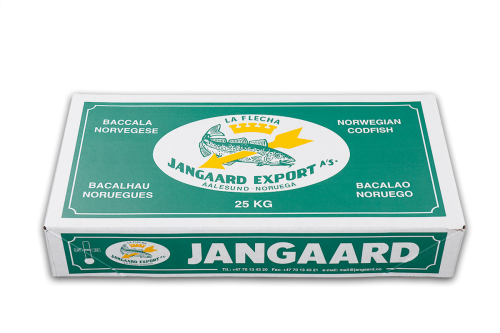 The fish is packed in 25 kg cartons. 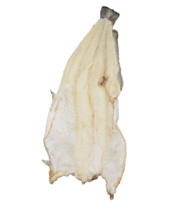 Ling is often sold to Mexico, Brazil, Martinique and Argentina as dried fish. In Brazil, they use Imperial to describe the highest quality and Universal to describe a lower quality. In other markets, Superior denotes the highest quality and Universal a lower quality. 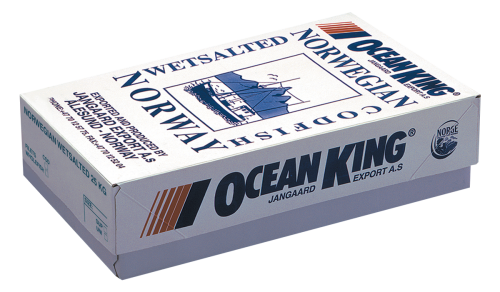 Wet salted ling and wet salted ling fillets are sold to markets such as Italy, Greece, France, Australia, Tunisia and Spain. 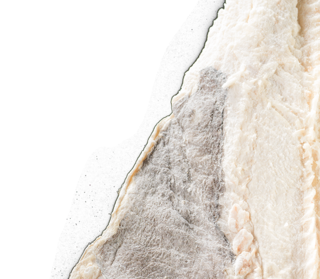 Tusk is sold to Brazil as dried salted fish, and to Italy and Greece as wet salted fillets. 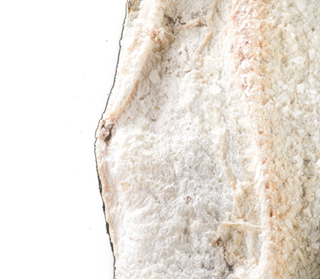 The raw material has been salted and then matured over time to create the rich and well-balanced flavour. Packed in 25 kg net cartons. 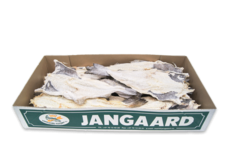 In order to utilise as much of each fish as possible and reduce waste, Jangaard produces a range of other products resulting from its wet and dried salted fish production. 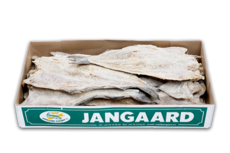 Jangaard is a big producer of roe and liver, as well as different species of frozen fish. 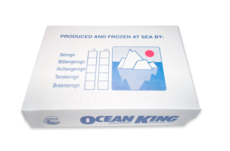 Ling roe is sold as a frozen product. It is packed interleaved in blocks. 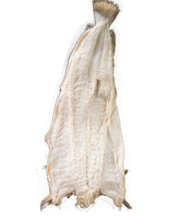 Ling roe is sold mainly to Spain and is available in two different qualities: whole roe and broken roe. 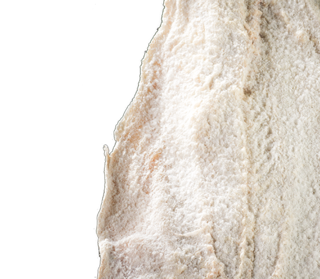 Cod roe is sold as sugar salted or heavy salted roe in 100 kg net barrels. These products are mainly exported to Sweden and Greece. 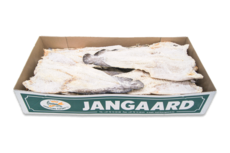 Jangaard sells frozen products such as redfish (Sebastes fasciatus), halibut (Hippoglossus hippoglossus) and Greenland halibut (Reinhardtius hippoglossoides). The main market for these products is Germany. 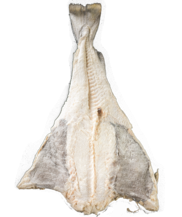 Liver from cod and saithe is mainly sold to producers of Omega-3 products. We also make fish silage from these products for the salmon industry.